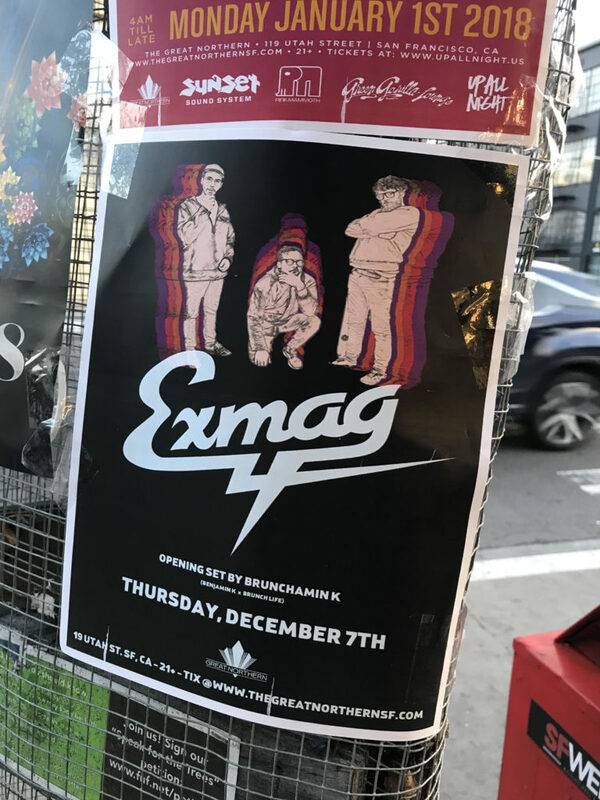 Exmag have always been favorites of mine, and when I stumbled on a show flier while traveling in San Francisco last week, I was ecstatic to catch them one more time before the new year. Always forging ahead with fresh musical styles, Exmag are one of the most creative bands on the circuit, and it is seriously inspiring to see them live. With their latest album, Part 2, out and doing well on their new label home, Majestic Casual, the anticipation to hear the magic live was overwhelming. Friends in tow, we showed up to the new and beautiful venue, The Great Northern, to see these groovy aliens in a new city. The first thing to really steal my attention was the giant tree in the middle of the dance floor, it’s twisted branches sporting a disco ball that hung over the stage.Bars flanked both sides of the floor, and thick drapes hung majestically above. 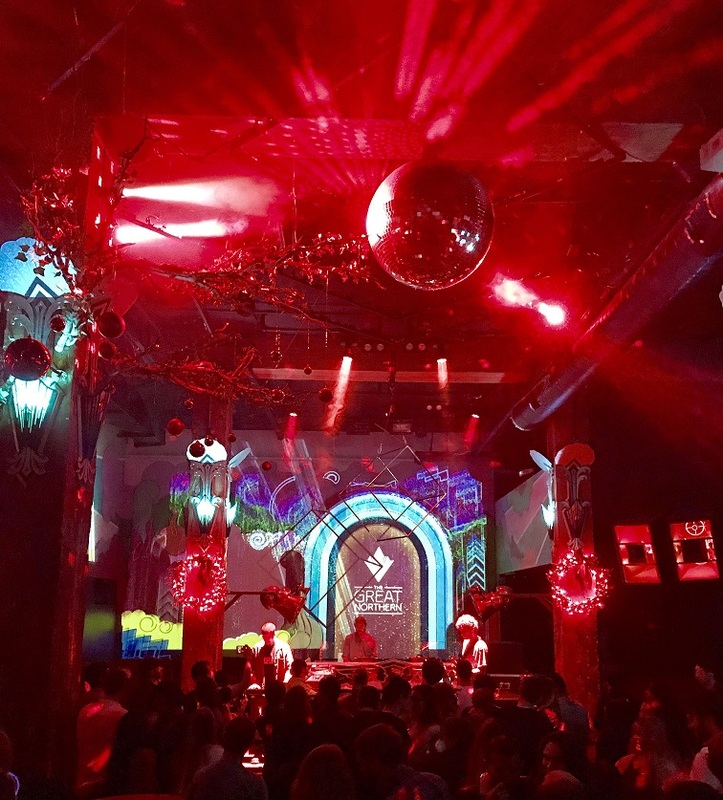 The Great Northern truly provided the perfect setting to get intimate, pairing with Exmag’s sensual productions effortlessly. Arriving just before the band took the stage, we found a snug back table and proceeded to take in the best view. Diving into past albums and remixes, every song melted into the next in a seamless flow, proving just how on point the chemistry is between the members. There are no hesitations or moments for slack – the groove is there from start to finish, funky as hell and relentless. Highlights for me were ‘Turn My Music Up’, ‘Time Piece’, ‘Fresh Prince Situation’, and my guiltiest pleasure, ‘Tilt Mode’. The guys are hopping on a nationwide tour with Bass Physics in just a few weeks, and we seriously hope you’ll catch them in action! If you’re ready to be turned on to this galactic love funk, look no further. Yes, it is true: Exmag are real.